I am interested in using contemporary molecular tools to address diverse questions focusing on biodiversity, ecology and evolution. This is a particularly exciting time in the field of molecular ecology, since advances in DNA sequencing throughput have recently offered a paradigm shift in our ability to assess previously intractable functional and taxonomic biodiversity at an unprecedented scale, augmenting existing biodiversity fields and empowering others. Using such technologies, I am testing a range of hypotheses regarding the alpha and beta functional and taxonomic diversity of macro-, meio- and microbial communities (e.g. microbiomes) in space and time, based on genomic, community and environmental DNA (eDNA). Focal habitats have included estuarine, coastal and deep sea environments with an increasing focus now on freshwater, terrestrial, whole organisms and the aerial biosphere in order to understand the drivers of diversity in natural communities and also how diversity is linked with ecological function, trophic relationships, environmental and human health. Current additional activities include phylogenomics, population genetics, life history evolution, polyploidy, pollination genomics. If you want to find out more, please go to my research and publication pages. Recent Methods in Ecology and Evolution podcast on the use of DNA sequencing to identify biodiversity (Creer et al. MEE 2016) also available here. 2005 Teaching in Higher Education Certificate. UWB. 2000 PhD. Molecular phylogeography and venom evolution of Trimeresurus stejnegeri in Taiwan. NERC funded, The University of Wales, Bangor (UWB), UK. 1997 MSc. Ecology (Distinction). NERC funded, UWB. 1992 BSc. (Hons) Applied Biology (2.1). University of Bath, UK. 9/16 – Professor of Molecular Ecology – Bangor University. 11/12–9/16 – Senior Lecturer in Molecular Ecology – Bangor University. 11/05–10/11 Senior Research Fellow in Molecular Ecology – Bangor University. 07/05–10/05 Postdoctoral Research Associate. NERC grant, “Functional and genomic venom diversity of phospholipase A2 (PLA2) genes in Asian pitvipers” UWB. 06/01–06/05 Postdoctoral Research Associate (named). Wellcome Trust grant, “Reliable molecular phylogenies for medically important venomous snakes: subtropical and tropical Asian vipers” UWB. 09/03–09/04 Temporary Lectureship in Zoology. UWB. 01–06/01 Postdoctoral Research Associate. Leverhulme Trust grant, “Far-east Asian pitvipers: venom evolution and biodiversity” University of Wales, Bangor. In addition to the above, I review articles for Nature Communications, Systematic Biology, Molecular Ecology, Philosophical Transactions and Proceedings of the Royal Society, Biological Sciences, BMC Evolutionary Biology, Conservation Genetics, Heredity, Journal of Molecular Evolution, Journal of Experimental Marine Biology and Ecology, Journal of Fish Biology, Journal of Zoology, Environmental Microbiology and Marine Ecology Progress Series. In recent years, paradigm shifts have been made in using DNA sourced directly from environmental samples (eDNA), to identify large-scale patterns of biodiversity from taxa across the tree of life. LOFRESH is a multi-institution collaborative initiative funded by a Natural Environment Research Council (NERC) Highlight Topic grant to improve our ability to utilize eDNA for tracking the presence and abundance of species in and around freshwater habitats. Environmental DNA refers to shed cells or extracellular DNA from organisms as they pass through an environment (e.g. water, soil and air), or die and decay. By doing so, animals and plants leave traces of their DNA in the environment that can be detected using a number of molecular genetic approaches. We expect that our findings will provide valuable insights for the fields of freshwater ecology, biomonitoring and environmental assessment. Launched in March 2016, LOFRESH aims to understand the dynamics between living communities and lotic (i.e. riverine) eDNA in relation to spatial and environmental variation. While led by Bangor University, LOFRESH is also directly supported by The Centre for Ecology and Hydrology (CEH), Cardiff University and the University of Birmingham. Please visit the project website for further details and please do get in touch if you would like to explore future synergies with the project, or associated research areas. For millions of people, the onset of spring and summer brings misery as they battle with itchy eyes and sneezing brought about by their reaction to pollen. Up to 25% of the UK population are sensitised to grass pollen and around 10% suffer asthma that can be aggravated by pollen. However, with around 150 different species of grass in the UK and no easy way of distinguishing between different pollen grains, identifying which species of grass pollen people are allergic to is a challenge. 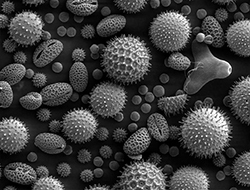 In PollerGEN, a £1.2M NERC investment, we aim to develop a species level, spatio-temporal pollen assessment framework throughout the UK and develop novel pollen bio-aerosol models in order to identify which species are linked to the exacerbation of asthma. The PollerGEN team comprises researchers from Bangor, Aberystwyth, Worcester and Exeter Universities, in collaboration with the UK Met office, supported by a range of stakeholder groups and charities. We will use a range of molecular genetic solutions, from shotgun environmental sequencing through to quantitative PCR to quantify the pollen landscape, followed by leading-edge aerobiological modelling and identifying links to the aggravation of asthma throughout the grass pollen season. Understanding which species of grass pollens are in the air in high quantities at a particular time will allow those with hay fever and asthma to better manage their disease by being aware of risky periods, avoiding exposure and having their medicines to hand. It is predicted that the new forecasts will give more precise (and shorter) time periods that disease sufferers will have to be cautious in, and provide guidance of when these may occur. Enhancing freshwater ecosystem biomonitoring: defining and testing an ecometagenetic DNA identification framework. Biological indicators are used to estimate the state of the environment and the Environment Agency mandatorily monitors the health of freshwater ecosystems throughout the UK. However, traditional monitoring approaches suffer from the “identification bottleneck” problem (e.g. subjectivity, lack of resolution, labour-intensive traditional taxonomy approaches mismatched with ecosystem diversity). This KESS-funded PhD program, in collaboration with Iliana Bista and the Environment Agency, will populate a DNA reference library for up to 200 macroinvertebrate indicator species and test and test the efficacy of the use of second generation sequencing approaches in enhancing freshwater biomonitoring programs. 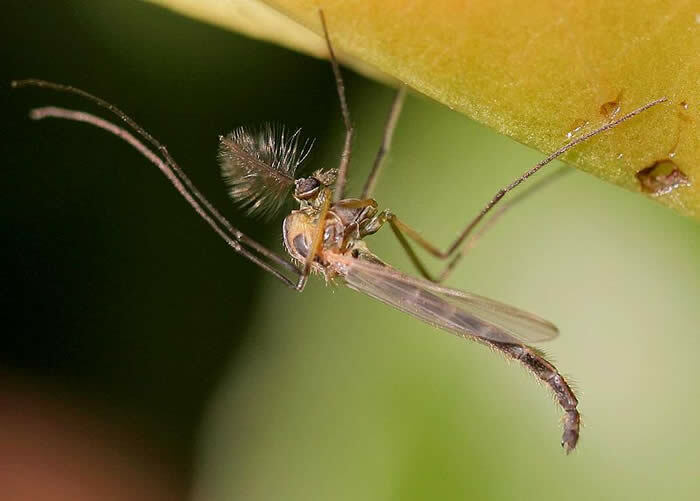 Chironomid image ©entomart. 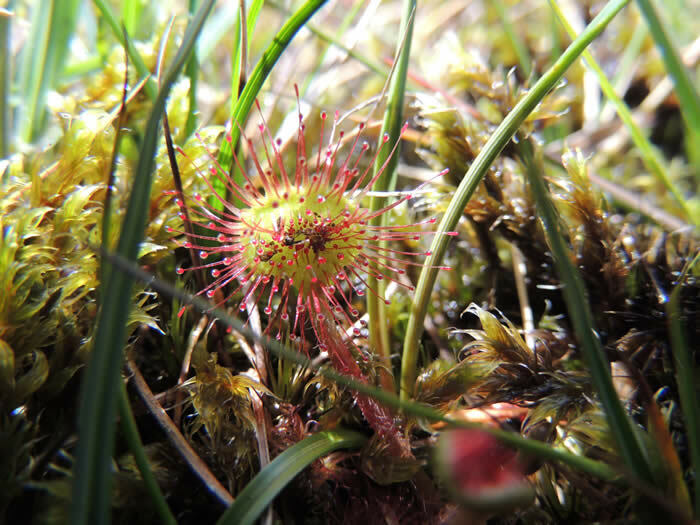 Understanding the microbial mechanisms underpinning carbon release from peatland ecosystems. In their natural waterlogged state, peatlands constitute the most important, long-term, terrestrial organic carbon store on our planet. However, it has been shown that under drought conditions the stored carbon is released as atmospheric gaseous CO2 and dissolved organic carbon (DOC) into surrounding waterways, contributing to global warming and the net loss of carbon from peatland ecosystems. Here, funded by the HPC Wales/Fujitsu partnership and partnered with Welsh Water, we will use “metagenetic” and shotgun “metagenomic” approaches to identify both the composition and functional diversity of the microbial communities responsible for drought-driven carbon loss from a range of peatland ecosystems. By understanding the mechanisms associated with carbon loss, we will be able to explore approaches aimed at regulation of key microbial drivers of carbon loss through the geo-engineering of peatlands to regain carbon. Such a multidisciplinary project demands expertise in wetland biogeochemistry and metagenomics and is lead by Caitlin Potter, in collaboration with Prof. Chris Freeman, Prof. Peter Golyshin, Dr. Nathalie Fenner and Dr. James McDonald. Intensively monitoring ecosystems in relation to land management schemes and monitoring progress towards a range of international biodiversity and environmental targets is a crucial aspect of understanding landscape interventions and the effects of environmental change. As part of the wider Glastir Monitoring and Evaluation Programme (GMEP), this project will investigate alpha and beta diversity of soil prokaryote, fungal and microbial eukaryotes and a range of abiotic soil factors across the Welsh landscape. Our aim is to better understand linkages and drivers of biodiversity between the abiotic and biotic realms and potential linkages between below-ground and above ground processes in relation to management regimes employed across a variety of ecological habitats. Click here to view the Past Research Projects. George, P., Lallias, D., Creer, S., Seaton, F., Kenny, J. G., Eccles, R. M., Griffiths, R. I., Lebron, I., Emmett, B., Robinson, D. & Jones, D. L., 7 Mar 2019, In : Nature Communications. 10, 1107. Vieira, P. E., Desiderato, A., Holdich, D. M., Soares, P., Creer, S., Carvalho, G., Costa, F. O. & Queiroga, H., 15 Feb 2019, In : Molecular Ecology. Marburger, S., Alexandrou, M., Taggart, J. B., Creer, S., Carvalho, G., Oliveira, C. & Taylor, M. I., 14 Feb 2018, In : Proceedings of the Royal Society B: Biological Sciences. 285, 1872, 20172732. Seymour, M., Durance, I., Cosby, B. J., Ransom-Jones, E., Deiner, K., Ormerod, S. J., Colbourne, J. K., Wilgar, G., Carvalho, G., De Bruyn, M., Edwards, F., Emmett, B. A., Bik, H. M. & Creer, S., 22 Jan 2018, In : Communications Biology. 1, 4. Ramirez, K. S., Knight, C. G., Hollander, M., Brearley, F. Q., Constantinides, B., Cotton, T. E. A., Creer, S., Crowther, T. W., Davison, J., Delgado-Baquerizo, M., Dorrepaal, E., Elliott, D. R., Fox, G., Griffiths, R., Hale, C., Hartman, K., Houlden, A., Jones, D., Krab, E. J., Maestre, F. T., McGuire, K. L., Monteux, S., Orr, C. H., van der Putten, W. H., Roberts, I. S., Robinson, D., Rocca, J., Rowntree, J., Schlaeppi, K., Shepherd, M., Singh, B. K., Straathof, A., Talbot, J. M., Thion, C., van der Heijden, M. & de Vries, F. T., 2018, In : Nature Microbiology. 3, p. 189-196 8 p.
Lamb, P. D., Hunter, E., Pinnegar, J. K., Creer, S., Davies, R. G. & Taylor, M. I., 29 Nov 2017, In : Royal Society Open Science. Potter, C., Freeman, C., Golyshin, P., Ackerman, G., Fenner, N., McDonald, J., Ehbair, A., Jones, T., Murphy, L. & Creer, S., Sep 2017, In : Scientific Reports. 7, 11314. Fonseca, V. G., Sinninger, F., Gaspar, J. M., Quince, C., Creer, S., Power, D., Peck, L. S. & Clark, M. S., 21 Jul 2017, In : Scientific Reports. 7, 6094. Bista, I., Carvalho, G., Walsh, K., Seymour, M., Hajibabaei, M., Lallias, D., Christmas, M. & Creer, S., Jan 2017, In : Nature Communications. 8, 14087. Llewellyn, M. S., Leadbeater, S., Garcia, C., Sylvain, F-E., Custodio, M., Ang, K. P., Powell, F., Carvalho, G., Creer, S., Elliot, J. & Derome, N., 2017, In : Scientific Reports. 7, 43465. De Vere, N., Jones, L. E., Gilmore, T., Moscrop, J., Lowe, A., Smith, D., Hegarty, M. J., Creer, S. & Ford, C. R., 2017, In : Scientific Reports. 7, 42838. PublishedPlasticity in growth of farmed and wild Atlantic salmon: is the increased growth rate of farmed salmon caused by evolutionary adaptations to the commercial diet? Harvey, A., Solberg, M. F., Troianou, E., Carvalho, G., Taylor, M. I., Creer, S., Dyrhovden, L., Matre, I. H. & Glover, K. A., 1 Dec 2016, In : BMC Evolutionary Biology. 2016, 16, 264. Creer, S., Deiner, K., Frey, S., Porazinska, D., Taberlet, P., Thomas, W. K., Potter, C. & Bik, H. M., 13 Sep 2016, In : Methods in Ecology and Evolution. 7, p. 1008-1018 11 p.
PublishedPlasticity in response to feed availability: Does feeding regime influence the relative growth performance of domesticated, wild and hybrid Atlantic salmon Salmo salar parr? PublishedDoes density influence relative growth performance of farmed, wild, and F1 hybrid Atlantic salmon in semi-natural and hatchery common garden conditions? Harvey, A., Carvalho, G., Taylor, M., Solberg, M. F., Creer, S., Dyrhovden, L., Matre, I. H. & Glover, K. A., 6 Jul 2016, In : Royal Society Open Science. 3, 7, 160152. PublishedA common garden design reveals population-specific variability in potential impacts of hybridization between populations of farmed and wild Atlantic salmon, Salmo salar L.
PublishedTemporal genetic homogeneity among shore crab (Carcinus maenas) larval events supplied to an estuarine system on the Portuguese northwest coast. PublishedSecond-generation environmental sequencing unmasks marine metazoan biodiversity. PublishedGenetic structure of Carcinus maenas within its native range: larval dispersal and oceanographic variability. PublishedSecond-generation sequencing derived insights into the temporal biodiversity dynamics of freshwater protists. PublishedUltrasequencing of the meiofaunal biosphere: practice, pitfalls and promises. PublishedInclusion of nuclear intron sequence data helps to identify the Asian sister group of New World pitvipers. PublishedAn evaluation of the systematic value of skull morphology in the Trimeresurus radiation (Serpentes: Viperidae: Crotalinae) of Asian pitvipers. PublishedComments on the systematic status of specimens belonging to the genus Viridovipera (Serpentes: Viperidae: Crotalinae) from Sichuan and Yunnan provinces of southwestern China, with a redescription of V. yunnanensis. PublishedSystematics of the Protobothrops jerdonii complex (Serpentes, Viperidae, Crotalinae) inferred from morphometric data and molecular phylogeny. PublishedNew evidence on the phylogenetic position of the poorly known Asian pitviper Protobothrops kaulbacki (Serpentes : Viperidae : Crotalinae) with a redescription of the species and a revision of the genus Protobothrops. PublishedChoosing and using introns in molecular phylogenetics. PublishedOptimal intron analyses in the Trimeresurus radiation of Asian pitvipers. PublishedTargeting optimal introns for phylogenetic analyses in non-model taxa: experimental results in Asian pitvipers. PublishedMultiple causation of phylogeographical pattern as revealed by nested clade analysis of the bamboo viper (Trimeresurus stejnegeri) within Taiwan.